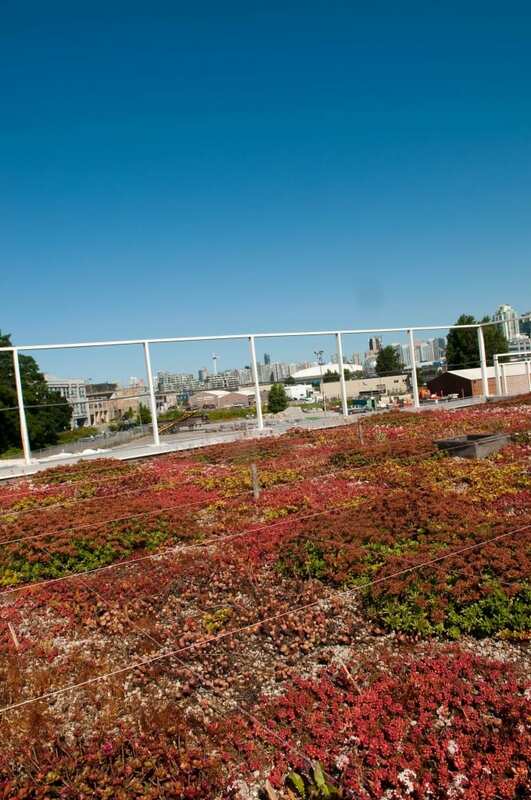 Green roofs are engineered roofing systems incorporating the use of vegetation that make environmental, economic, and social contributions to urban areas. The Green Roof Research Facility focuses on extensive green roofs. Green roofs have limited impact in short span construction. The weight of a 3″ green roof is approximately equal to gravel ballast use in inverted roof systems. For long span construction, load considerations may require structural engineering.